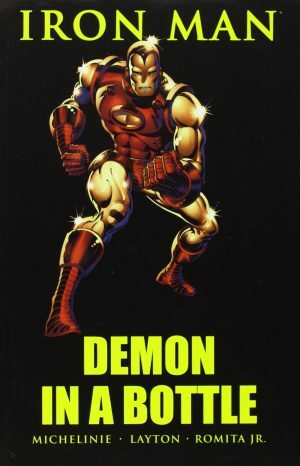 David Micheline (plot and script), Bob Layton (plot and inks) and John Romita Jr (pencil art) had combined for four issues of Iron Man before the work reprinted in Demon in a Bottle, and the opening story with the Sub-Mariner shows a few teething problems. However, compared to what passed for an Iron Man story before their era it ranks among the best to feature the character. 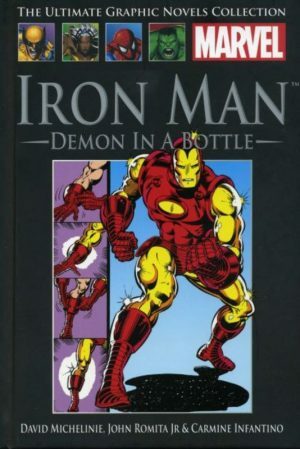 It’s unlikely anyone’s going to pick this collection up not knowing it concerns Tony Stark’s slide into alcoholism, and if not, Layton’s cover to an earlier edtion can hardly be accused of underselling the idea. Knowing what’s coming, it can be appreciated how Michelinie and Layton are relatively subtle in introducing the alcohol dependency among the rounds of Stark’s jet-set lifestyle. 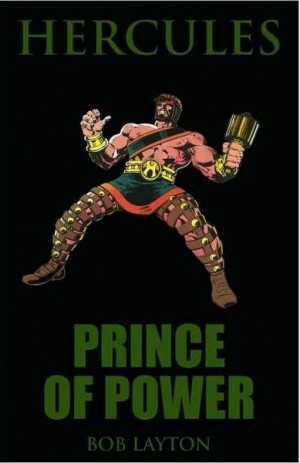 He’s rarely without a drink, and as the content continues this begins to affect his business competence and his effectiveness as Iron Man. 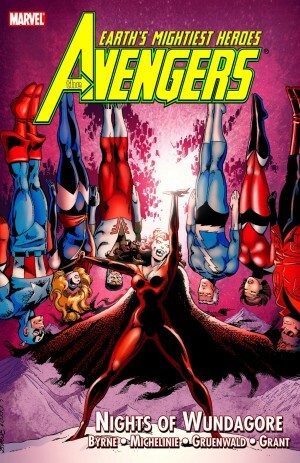 Even so, it’s only halfway through the book that it drops into place where the story is going. 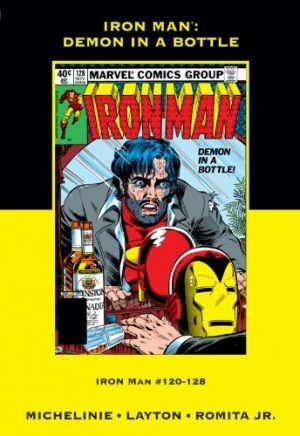 Readers in 1979 would have been taken even more off guard, not least because having a hero afflicted by alcoholism hadn’t been tried in comics before. By today’s standards the solution is too simple, months of difficulty compressed into a single montage page, but this was an era when comics were still largely for kids. The depiction of alcoholism isn’t the only triumph here. Again, without the comparison of earlier material, it isn’t apparent how far all three creators are responsible for upgrading the world of Tony Stark. It had previously been generic at best or 1950s cocktail bar at worst, but Romita Jr’s locations and offices finally look like places a millionaire industrialist would occupy. 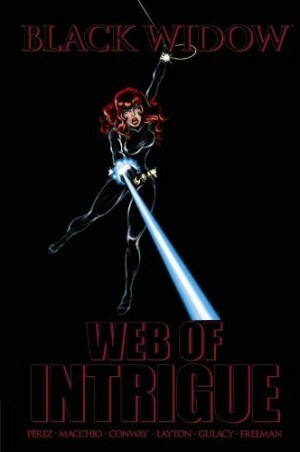 Bethany McCabe had already been introduced as a girlfriend, a capable investigator mixing Mary Jane Watson’s hair with Modesty Blaise’s personality, not the usual socialite or forlorn love of Stark’s past. Also welcome is their broadening of Iron Man’s supporting cast via the introduction of African American James Rhodes and the efficient middle-aged Mrs Arbrogast, and Justin Hammer, based on Peter Cushing by Romita Jr, is a credible industrial rival willing to cross ethical lines. It’s a long way from the style he’d become associated with, but this is incredibly assured work from Romita Jr, a young artist starting his first regular series. There’s a dynamism to the pages, and an enviable clarity. 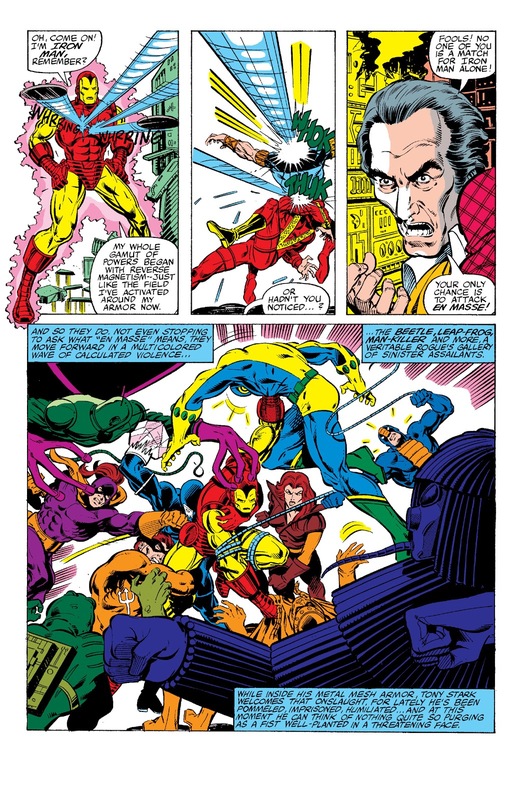 Fill-in artist Carmine Infantino had decades of professional work behind him, and ought to be the star turn, but his pages are cramped and ordinary compared with those of Romita Jr.
For all the good aspects, this is material that’s diminished over time. The foundation of the success was rooted in the creators reflecting the times accurately, and that now presents a dated look. The writing style is also very much of the time, afraid to let to the art tell the story, and thought balloons filled with unnecessary information. 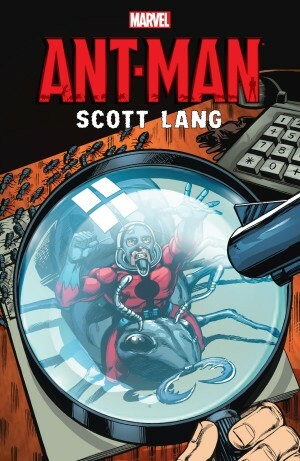 Work past that and there’s a lot of fun to be had with Tony Stark as a super spy, Ant-Man’s cameo and daft villains Iron Man had now outgrown. 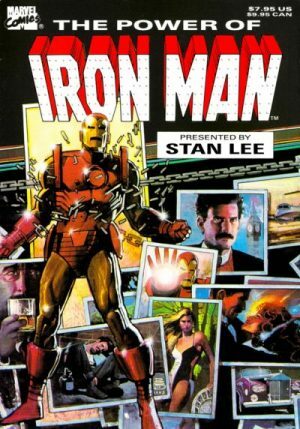 Much of what Micheline and Layton did was expanded by later creative teams, and the genesis of the movie Tony Stark is here. 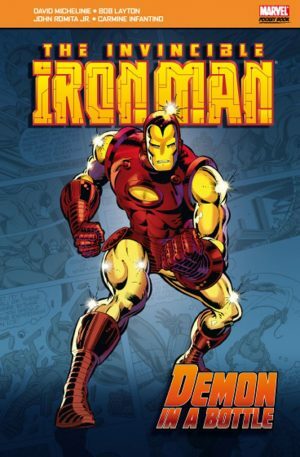 The first graphic novel reprinting of this content in 1989 was titled The Power of Iron Man, and while published at a slightly larger size, it was also without adjusting the colours for the better printing, so has a very garish look to the pages.